This post below was originally published on www.travelmag.com on 4/23/16. Travelers that want to find a combination of beauty, history, hospitality, and sunshine need to consider visiting the South. The South has something for everyone. Whether you want a taste of bourbon in Kentucky or to relax by the water in Maryland, there is a southern city that matches your needs. 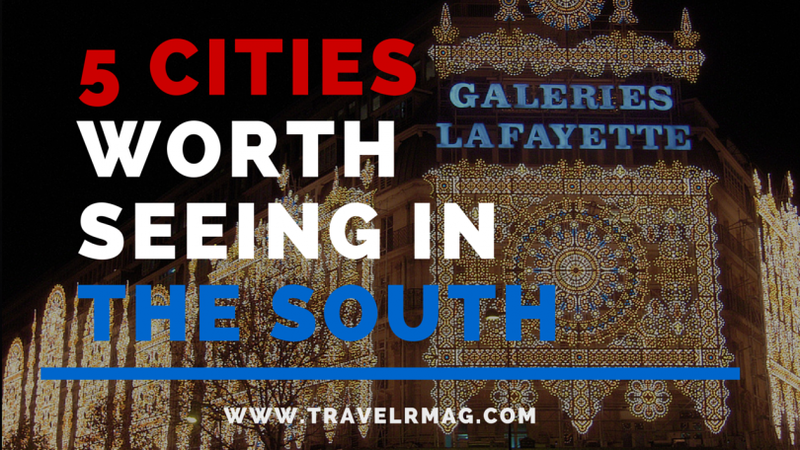 Check out the 5 southern cities below that have something to offer its visitors. Lexington is the “Horse Capital of the World” and is one of the most popular cities in Kentucky. One of the must-see’s in Lexington is the Kentucky Horse Park, where you can explore a 1,200 acre facility that features museums, art exhibits, and of course, a variety of horse breeds. If you like gambling, you can bet on horse races on grounds like the Keeneland Race Course. While a lot of the popular attractions involve horses, there are non-horse activities worth checking out if you visit Lexington. One of my favorites is taking a tasting tour at a local distillery. For instance, you can try a taste of Kentucky at one of the bourbon distilleries, like the Wild Turkey or Four Roses. If you are travelling through Louisiana, you need to stop by Cajun country and stay a few nights in Lafayette. Lafayette is a vibrant city that offers a nice combination of “country” with city-life. You can spend the day visiting Avery Island, where you can see the Tobasco factory, a bird sanctuary, and exotic animals in Jungle Gardens. After a busy day of exploring, go enjoy the local cuisine at one of the many Cajun and Creole restaurants. Want to enjoy the nightlife? Check out the bars and clubs on Jefferson Street. If you need to find a place to stay near the action, consider Studio 6 which is only a few blocks from the action. The Sunshine State is a popular travel destination in the South. One of my favorite cities to visit is located in the heart of the state in Kissimmee, FL. For budget travelers, you have to check out the $20 million dollar local park project, the Kissimmee Lakefront Park. You can rent pavilions, go boating, fishing, BBQ, hiking, and other low-cost outdoor activities. The real reason most people stay in Kissimmee is because of its close proximity to Walt Disney World. In fact, you can stay at an affordable Kissimmee hotel like the Vacation Village that is only about 10 minutes away from Disney World. For travelers that enjoy getting off-the-beaten path, Norcross will be worth considering. It’s cleverly tagged “a place to imagine” because of its blend of art, music, cuisine, and history. Take a stroll down the historic downtown and stop into the Crossing Steak House for a cocktail. The real benefit to staying in Norcross is that you can find an affordable hotel and still be just a few minutes from downtown Atlanta. Salisbury is a fun city in southeastern Maryland that offers its visitors a variety of activities. If you want a quiet place to relax, the 11 acre park on Schumaker Pondis just the spot. Grab a nice book, blanket, and a few snacks, and you can decompress in the serenity of the park. Another local favorite is the Salisbury Zoo. Admission to the zoo is free and they provide guided tours. If you are looking for a versatile city to spend a few days while traveling through Maryland, you should consider staying in Salisbury. Disclaimer: TravelrMag is a collaborative partner with Hipmunk. Our views are always our own.